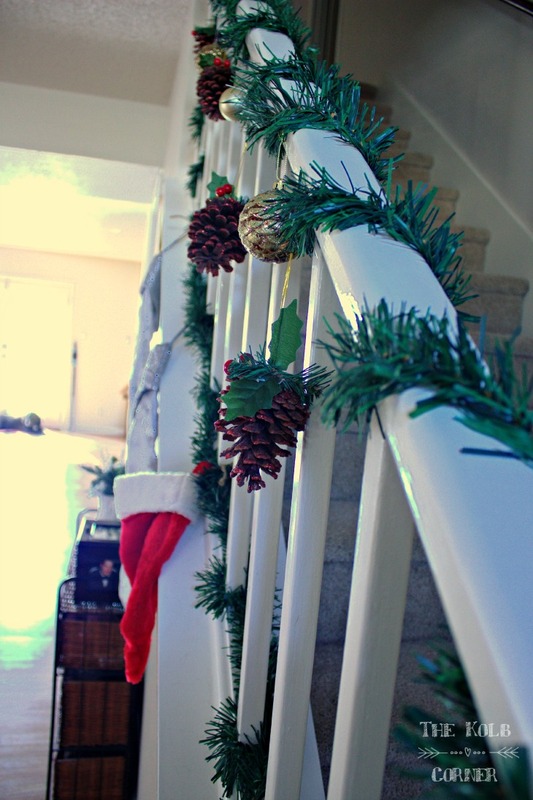 So I know I promised you guys some pictures of my Christmas decor. 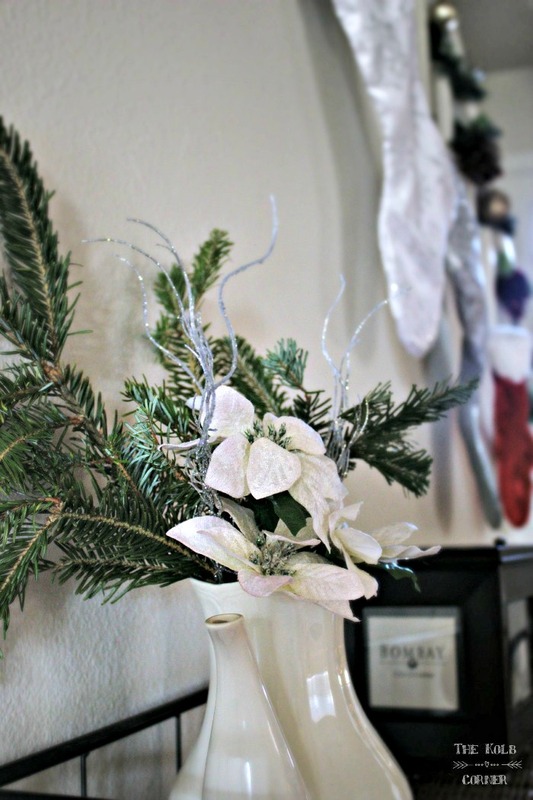 Now, before you get all giddy with excitement, let me just tell you this is not your average blog Christmas Home Tour. Seriously, have you seen some of these beauties going around on the blogosphere? There is no way I had the time, or budget to get into such a spectacular event. Believe me though, I have been scoping them all out, and drooling over them. 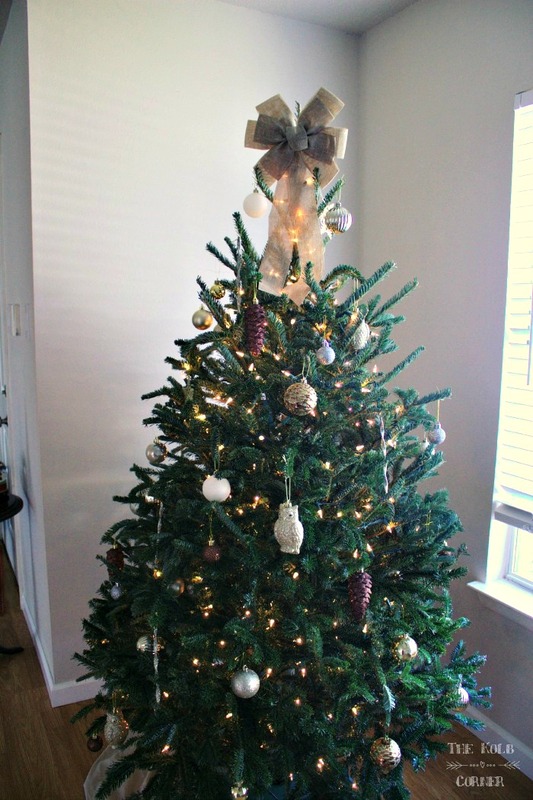 What I did manage to do was some minor decorations, like putting up a tree–my first real one ! 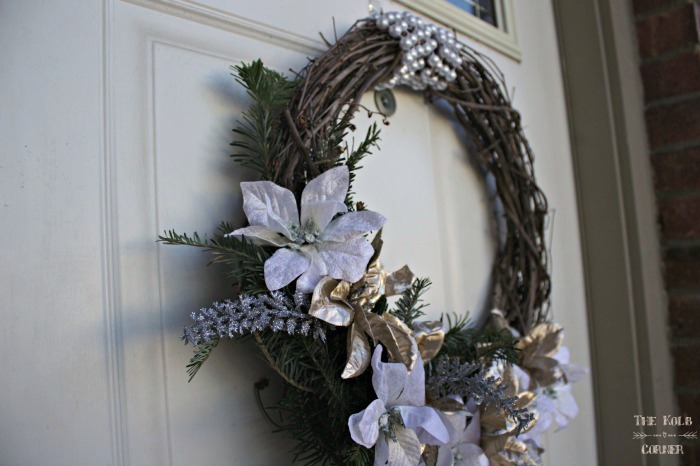 –, a new wreath for the front door, and a few little arrangements here and there. I did stick with a metallic color scheme, using bronzes, golds, silvers, and pewters. 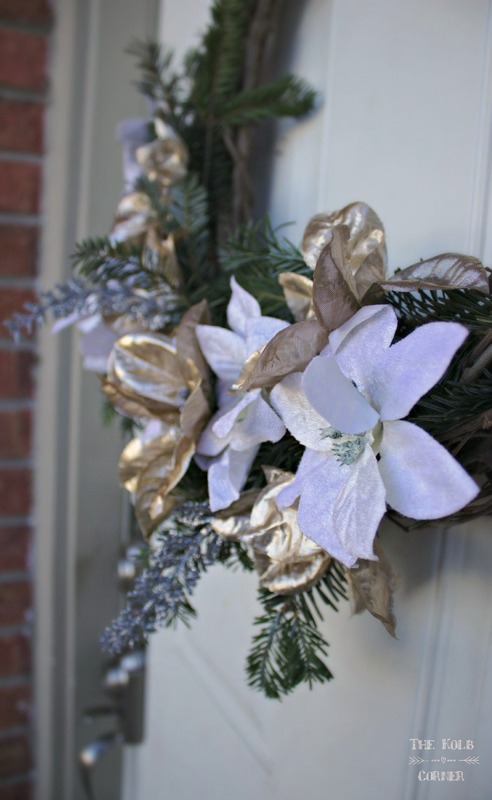 You can read more about how I made this quick little wreath HERE. 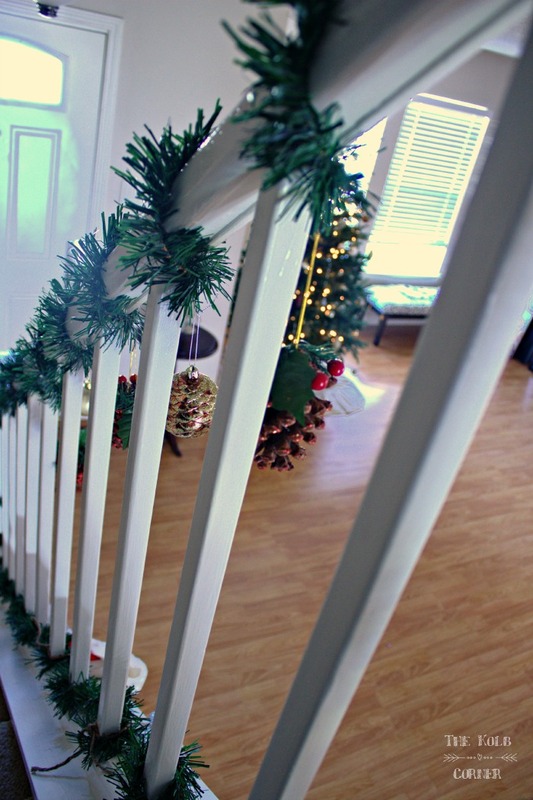 As you walk in the front door you are greeted by the staircase. Of course, I couldn’t leave that as is, so I did some simple decor. The garland and ornaments were from Dollar Tree, while the stockings I already had. Ok, maybe my second favorite, because my tree is number one. This is the first time in my adulthood that I have had a real tree, and I must say I have come a long way from a white artificial tree with hot pink, blue and purple ornaments. 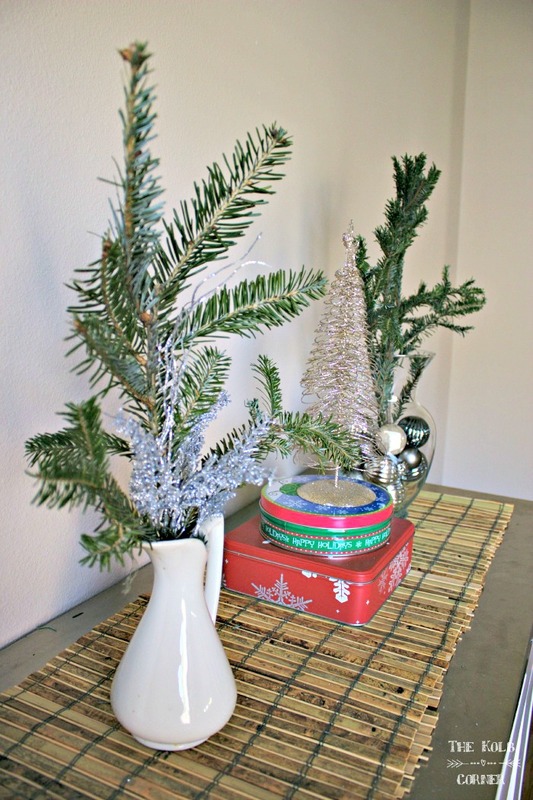 I stuck to simple ornaments this time, and a burlap bow for the topper. Most of the ornaments came from Dollar Tree and Big Lots, or were ones I got marked down last year at Target. I stuck to a major budget this year since I was basically starting from scratch. 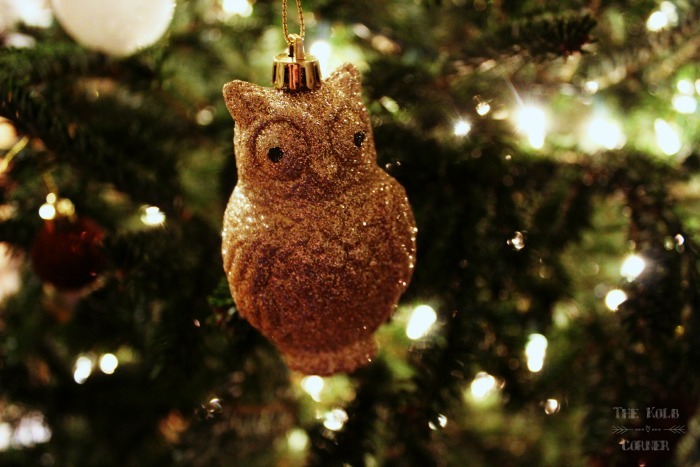 I am so in love with these owl ornaments I got from Big Lots. I wish there had been 2 sets! Lastly, I decorated my kitchen island turned bar in our otherwise empty dining room. 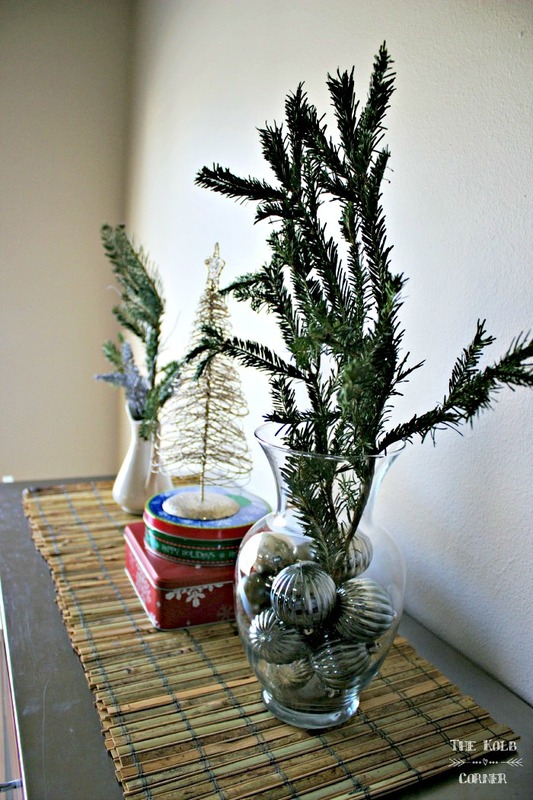 I used another milky white vase from Goodwill, as well as a clear glass vase filled with ornaments. For a little bit of something different, I stacked 2 Christmas cookie tins on top of one another to elevate my glittery wire tree. So you’ve seen a little of what I’ve been up to–what about you? 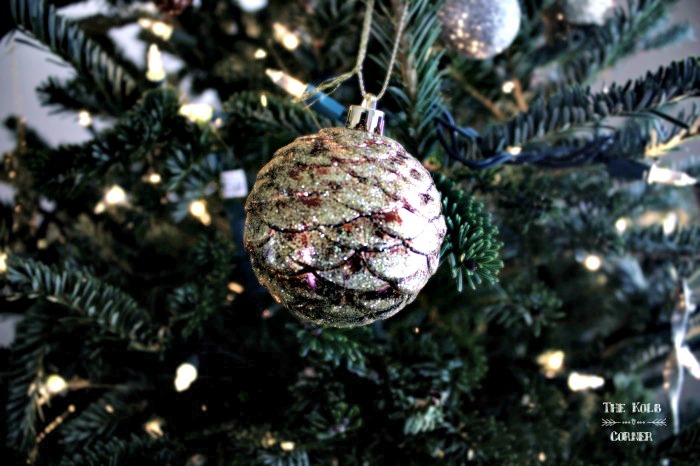 Are you finished, in the middle of, or haven’t yet started your Christmas decorating? Let me know in the comments below! 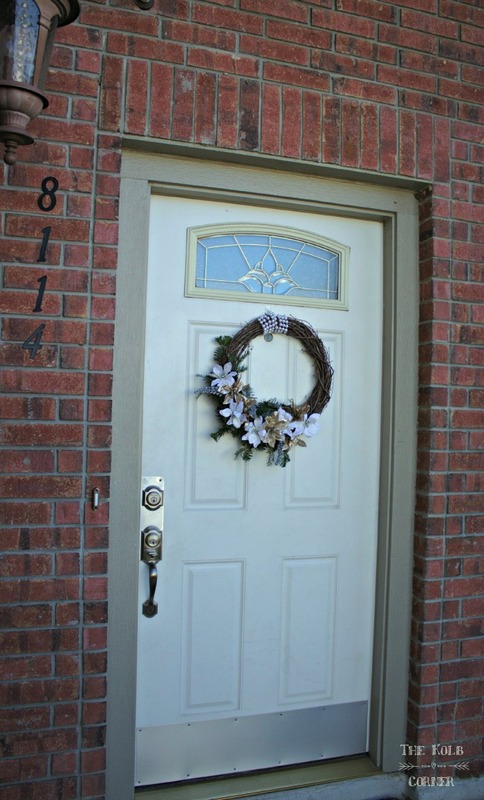 I LOVE that wreath. Even though it is so simple, it makes such a difference. Thanks for sharing!